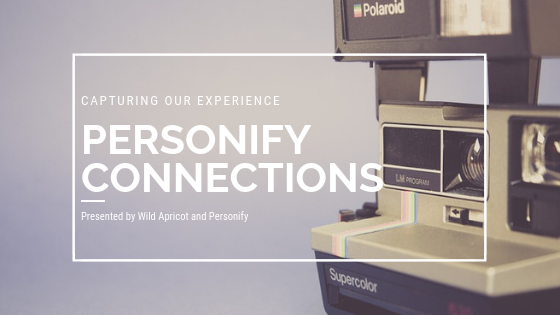 A couple of weeks ago, one of our team members had the opportunity to attend Personify Connections. This event was hosted by Wild Apricot and Personify in Chicago. The event included a half day lunch and learn sessions with a primary focus on Personify. Two of the learning sessions stuck out to our team member, “Talkin’ about my Generation” and “5 Habits of Highly Engaging Organizations- Membership Expert, Joy Duling.” Here are a few tidbits learned from those sessions. This was a useful session that took the time to break down the generations, giving an overview of how they like to learn and where their loyalties fall. Boomers: (1946-1964): This generations is known as the “I’m in it for me Boomers”. They put themselves first and want to know what they are going to get out of a situation. The Boomers top 3 donations go towards local social, worship, and health. GenX: (1965-1980): GenX is defined as the lost generation or the slackers. They are the first generation of latch key kids and divorce. They are also responsible for 45% of technology start ups. They are currently in their prime earning years. GenX top 3 donations go towards health, local social, and animal. Millennials: (1981-1996): Millennials experienced the major shift in technology. They are immune to traditional marketing due to growing up with cable, internet, and social media. They also tend to be less brand loyal. Millennials also appear to be the most willing to give back. 46% of Millennials would prefer a donation over a birthday gift. Their top 3 donations go towards worship, children, and local social. This generation of giving back is the perfect one to target for associations. GenZ: (1997-2012): GenZ is more creative and open minded. They have never known a world without internet and tend to show signs of depression or withdrawal if their phones are taken away. Many were not alive during the country’s cultural shift on 9/11. This generation’s top 3 donations go towards children, animal, and health. The next session focused more on engaging members. It provided a clear break down of how to reach those members and keep them involved in the organization. Always listening. It is important to actively listen to what members want. Question how and how often you build listening opportunities? What happens afterwards? How is that put into practice? Evaluating this, can lead to a more open line of communication. Continuously see possibility. See a better future ahead for your members and share your vision with members. Keeping members focused on that future, encourages them to get involved in making that future a reality. Show up. Include hosts, announcers, researchers, and agents in your events and meetings for members. This will provide them value for their membership and keep them interested what the association is working towards. Intentional activity. Make sure the activities provided for members are useful and engaging events. This could be done through subcommittees, interest groups, personalized emails, or event experience. Create different tracks for different types of members to keep them all engaged. Overall, this event was extremely informative and helpful in understanding the different age groups and how to engage those groups in your association. Our team will definitely be attending this event again!